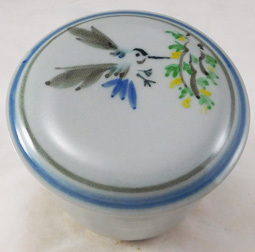 Made with porcelain clay this butter dish has a sumi-e painting of a butterflys flying over butter cups on the lid. Only one available. 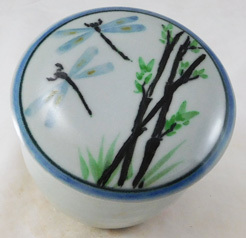 Made with porcelain clay this butter dish has a white glaze on the outside with a sumi-e painting of two dragonfly's in buttercups Only one available. 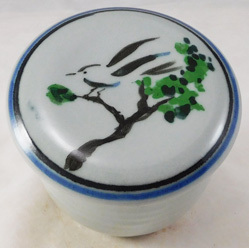 Made with porcelain clay this butter dish has a white glaze with a sumi-e painting of a bird sitting in a tree. Only one available. 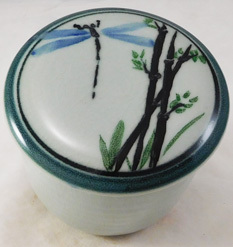 Made with porcelain clay this butter dish has a white glaze on the outside with a sumi-e painting of a dragonfly in bamboo. Only one available. 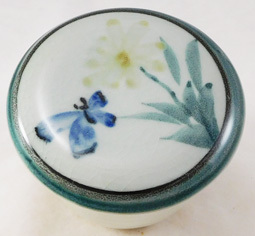 Made with porcelain clay this butter dish has a white glaze with a sumi-e painting of a butterfly in bamboo. 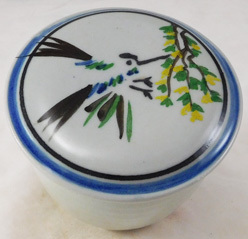 Only one available. 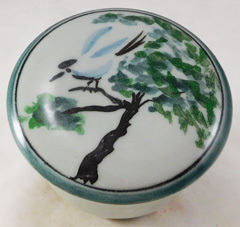 Made with porcelain clay this butter dish has a white glaze with a sumi-e painting of a bird in a tree. Only one available. 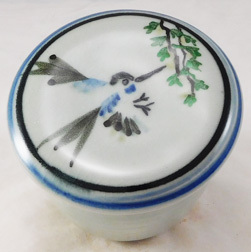 Made with porcelain clay this butter dish has a crackle white glaze on the outside with a sumi-e painting of a dragonfly in bamboo. Only one available.